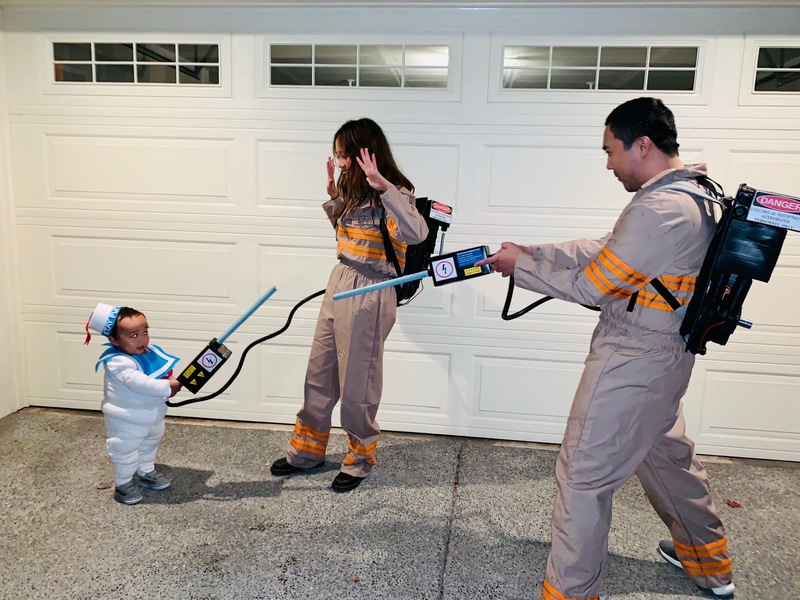 If there’s something strange in your neighborhood, who you gonna call? Ghostbusters! 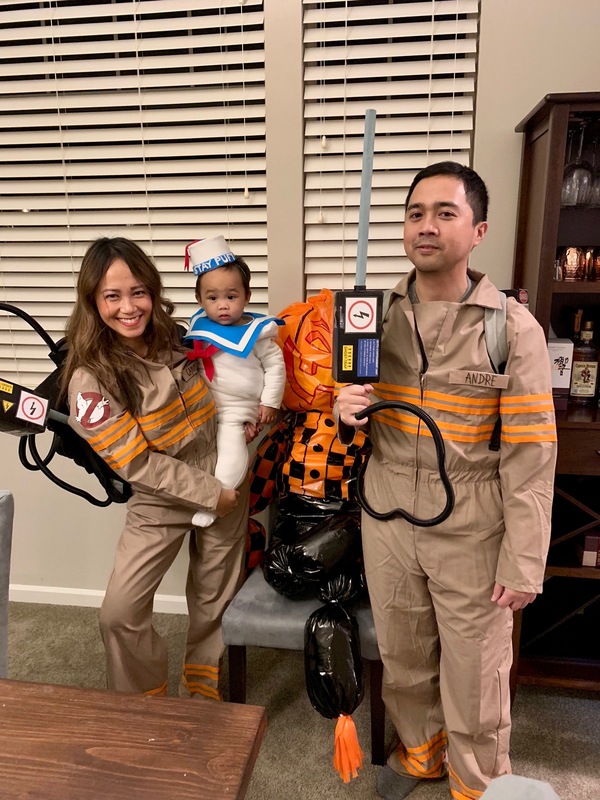 I came up with the Ghostbuster family costume idea because I really wanted Avery to be the Stay Puft Marshmallow Man! I made the Stay Puft costume and will link a tutorial on it soon. 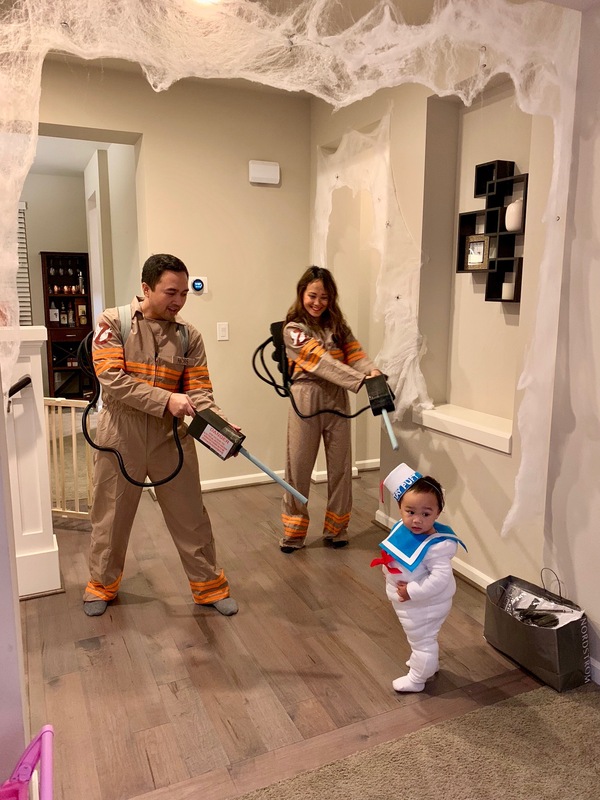 I purchased the Ghostbuster costume from Target. 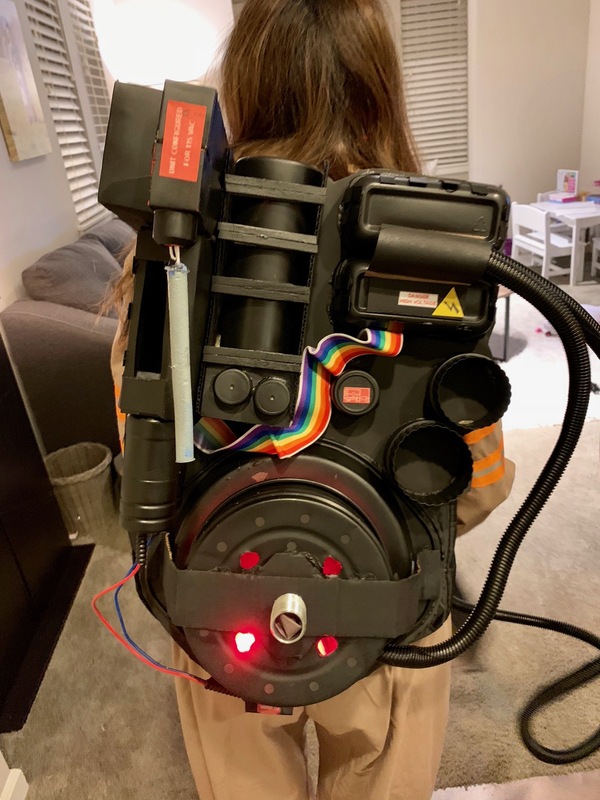 Since I thought the blow-up proton pack looked a bit tacky, I decided to create my own. Man, that was a lot of work and supplies but so glad that it turned out pretty good! 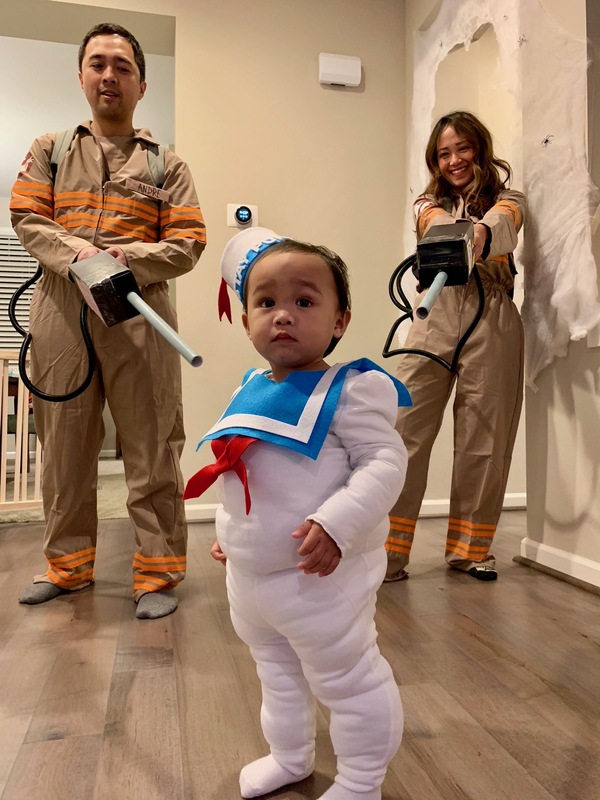 Lots of compliments, especially on how adorable the Stay Puft Marshmallow Man is!